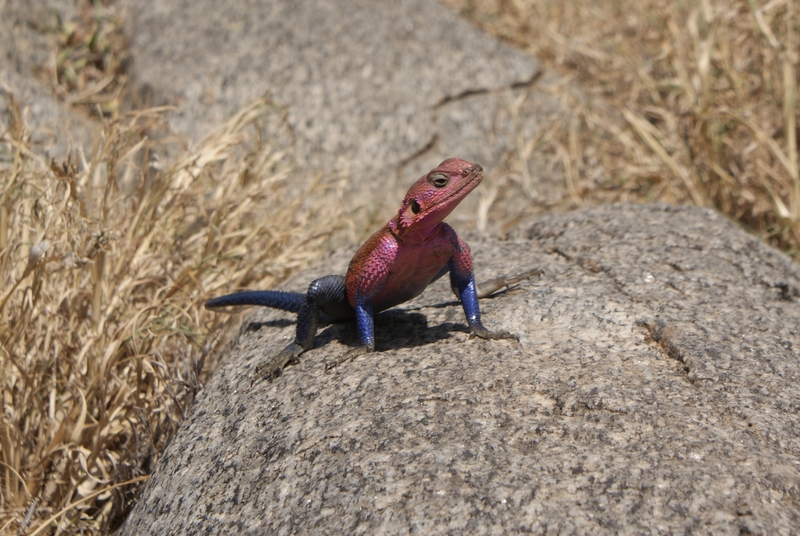 This week we have a guest post from herpetologist and Zooniverse volunteer Steve Allain (find him as “The Newt Guy” on Zooniverse), who has used Snapshot Serengeti data (available here) to dig a little deeper into our little-studied reptiles. Steve is a zoology graduate from Anglia Ruskin, Cambridge and has a particular passion and focus on British amphibian and reptile species. He is the current chairman of the Cambridgeshire and Peterborough Amphibian & Reptile Group (CPARG) where he helps to organise and coordinate a number of amphibian and reptile surveys around the county to map the distribution of amphibians within Cambridgeshire. More recently Steve has joined the IUCN SSC Amphibian Red Listing Authority as an intern. In the summer of 2014 I visited Tanzania and went on a tour of the north of the country visiting such places as Arusha, Mount Meru, Ngorogoro Crater and the Serengeti. Before I went, I prepared myself for the wildlife I would encounter by helping out with the Snapshot Serengeti project. As a herpetologist (someone that studies amphibians and reptiles) I was not familiar with the mammalian fauna of Africa apart from the large and obvious animals that you are taught as a child. When I was in Africa, the identification skills I’d learnt through helping with the project really did pay off when it came to narrowing what species we had seen. Recently I was reading a scientific paper regarding the monitoring of Komodo dragons using camera traps; this is an unusual method as reptiles generally don’t trigger camera traps due to their biology. I pondered some thoughts for a while and then it suddenly dawned on me that I knew of a project that had recently published a large amount of data from which I could filter out when reptiles had been captured by the camera traps. I decided to get in contact with some of the people involved with Snapshot Serengeti to help me get started. One of the main questions that I have is when is the most likely time to capture a reptile on a camera trap, be it a snake or a lizard etc.? Is it in the morning or the afternoon? With the data published by the Snapshot Serengeti project I have been investigating this by first identifying all of the trapping events which contain reptiles. The original project identified 131 events which have been a good baseline to work from but with some extra digging I have identified another 120 events and I’m only just getting started. Once I have a list of all of the trapping events, I intend to collate the data relating to my first question using time stamps as well as identifying which species are present. There are other questions which I am still formulating and so far most of the animals I’ve managed to identify have been species of rock lizard which like to bask on rocks and outcrops called kopjes. I’m hoping that my findings will be able to inform scientists in the future about the possibilities of using camera traps for studying the behaviour and distribution of reptiles over a large area. I think it’s completely dependent on what you’re looking for and what it’s natural preferences are. usually dusk/dawn are good because the nocturnal stuff will be going in for the day and the diurnal species will just be coming out.